While the proverbial ink is still drying on the first reviews of Apple’s iPad — which you can peruse via our roundup — fans in Japan are already getting in the mood and queuing to buy the new tablet. The device will launch in Japan, and nine other markets, from 8:00 am local time tomorrow which, by virtue of Tokyo being 16 hours ahead of California, will mean that Japanese customers will be amongst the first to get their hands on the new iPad. 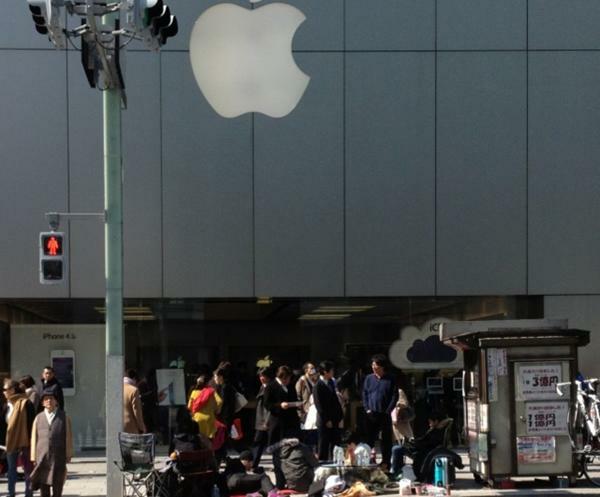 Even though, at time of writing, it has just passed 3:30 pm local time, a queue is already building outside the Apple Store in the Ginza district of Tokyo, Japan’s capital city. 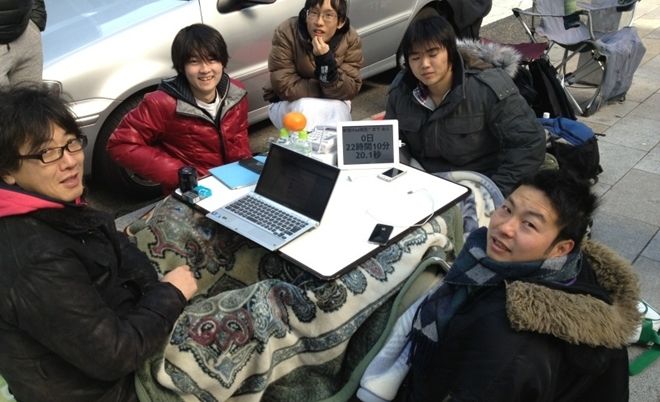 In fact, the line has actually been going since yesterday, after these die-hard fans plonked a table outside the Apple Store on Thursday night local time, some 36 hours before the store begins selling the new iPad. 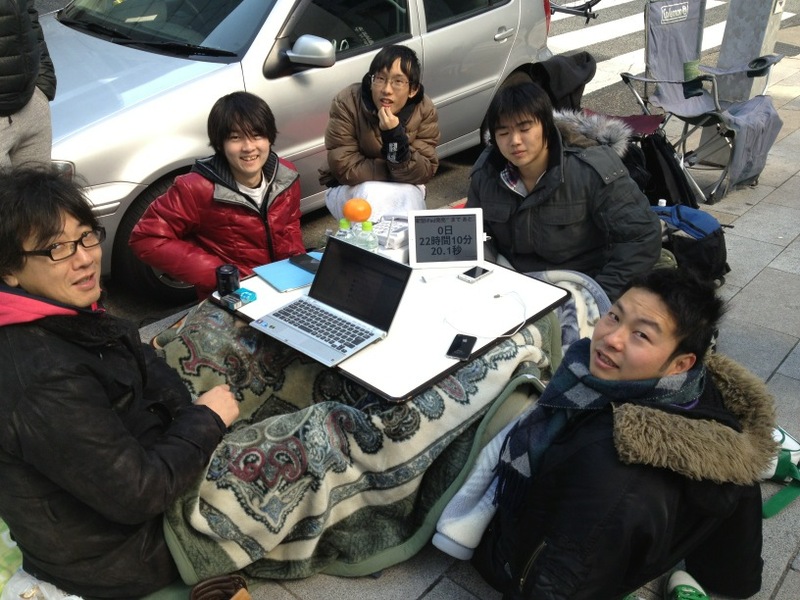 How’s that for dedication, or is it just another in the long line of examples of the craziness of tech in Japan? 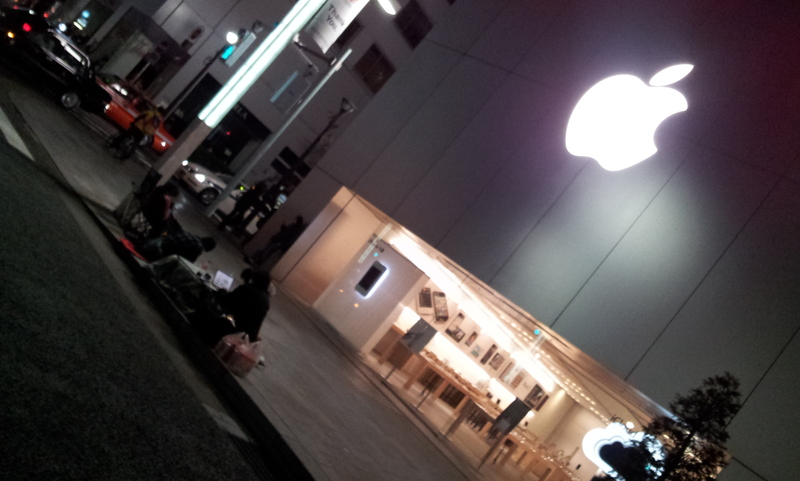 Apple Japan will be hoping that the iPad launch is as successful as its introduction of the iPhone 4S. Demand for the phone was such that it took Apple to the top of Japan’s mobile market for the first time, as the company grabbed the number one spot based on shipments during the final quarter of 2011. Either way, tomorrow is shaping up to be chaotic in Ginza as popular clothing brand Uniqlo will open what will be its largest store in the world right down the road from the Apple Store. my goodness… largest uniqlo in world opening just 40 meters down from the apple store which is releasing new IPad… ginza onfriday! We’ll have more details of the iPad launch across the world right here on our Apple channel.